The Dining Room, casually viewed from a distance, is pleasant and unremarkable. 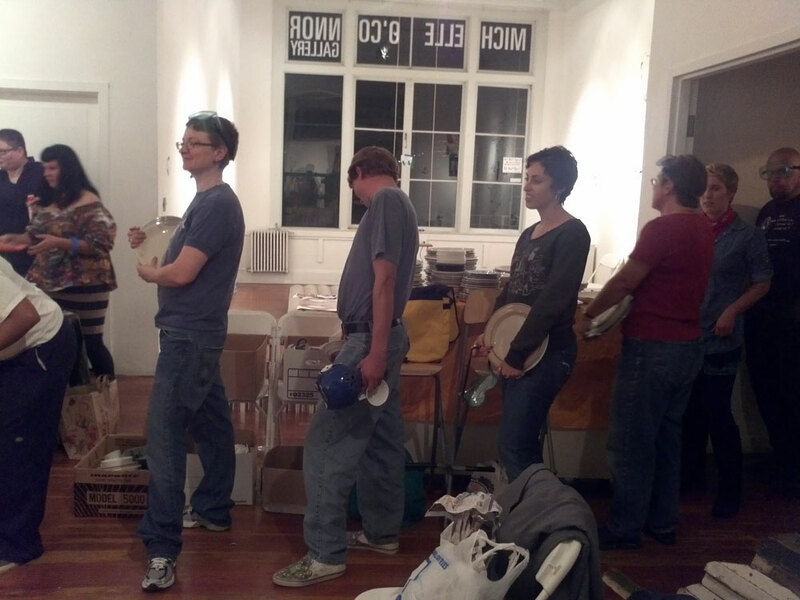 A diorama of domesticity, perhaps as you might see in showrooms or through windows in so many neighborhoods. The viewer approaches a window hanging in midair. 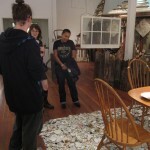 Across from her is a vintage mirror, placing her in the room. 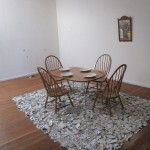 The dining table with four chairs and settings. 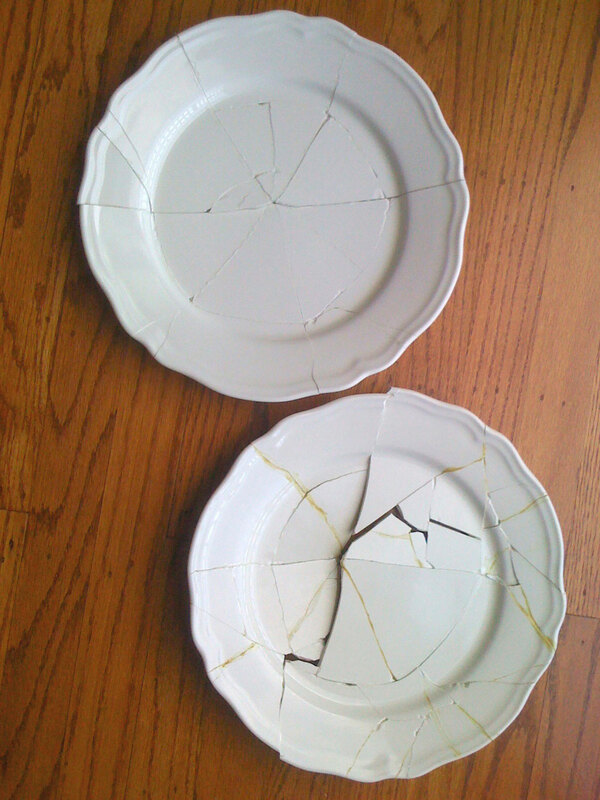 White plates. 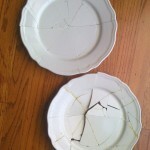 Upon closer examination, the plates were cracked and broken ages ago, and glued back together—carefully yet imperfectly. Once broken, never made whole again. Beneath the table and chair is a large shag rug. 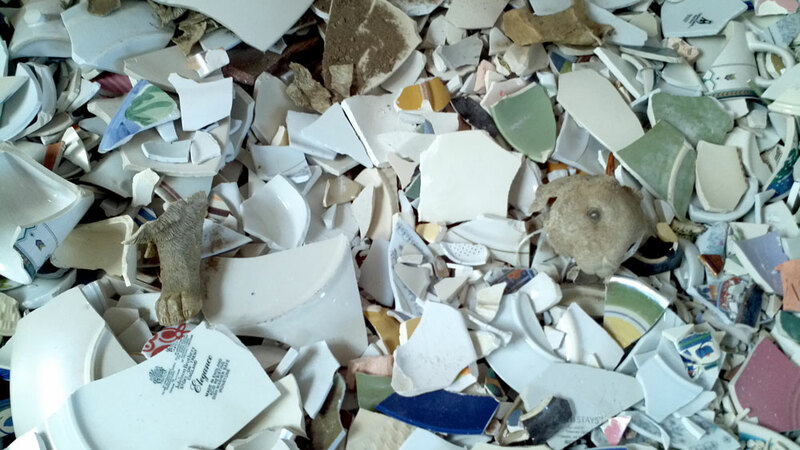 But it’s not shag, it’s shattered crockery piled ankle deep. 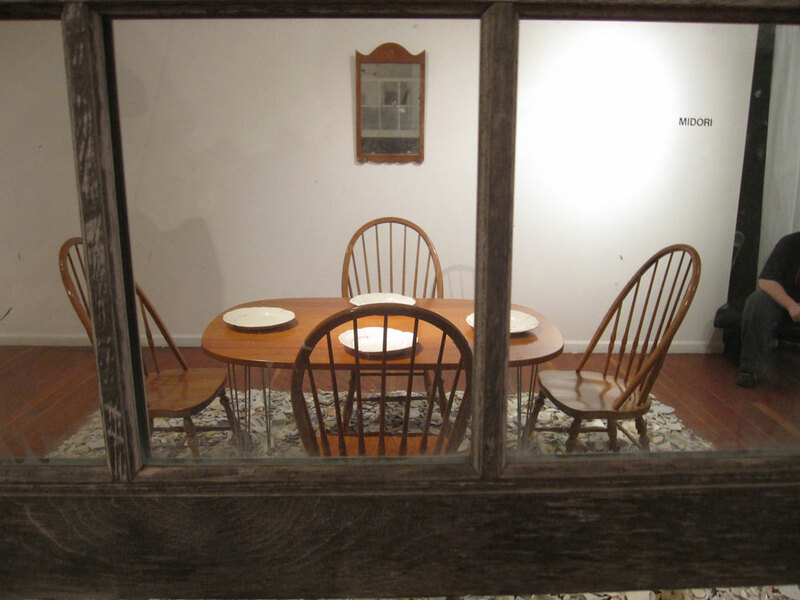 Each time the Dining Room is installed, it is co-created through the action, energy, grief and all the emotion the public brings to the moment. 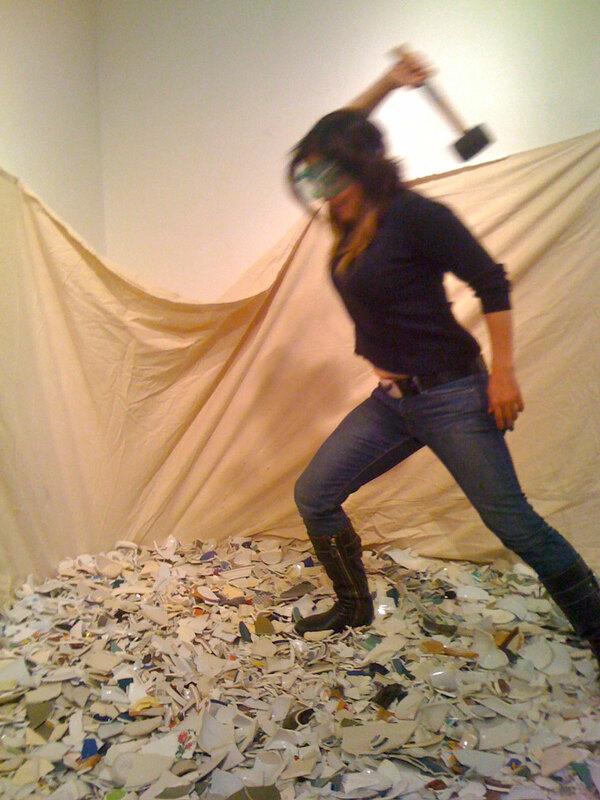 The night prior to the installation, an interactive performance and performance takes place, called the Shatter Party, where the public is invited to break plates. One by one, attendees wearing safety masks, step up to a pit and hurl plates. They may participate as many times as they wish. 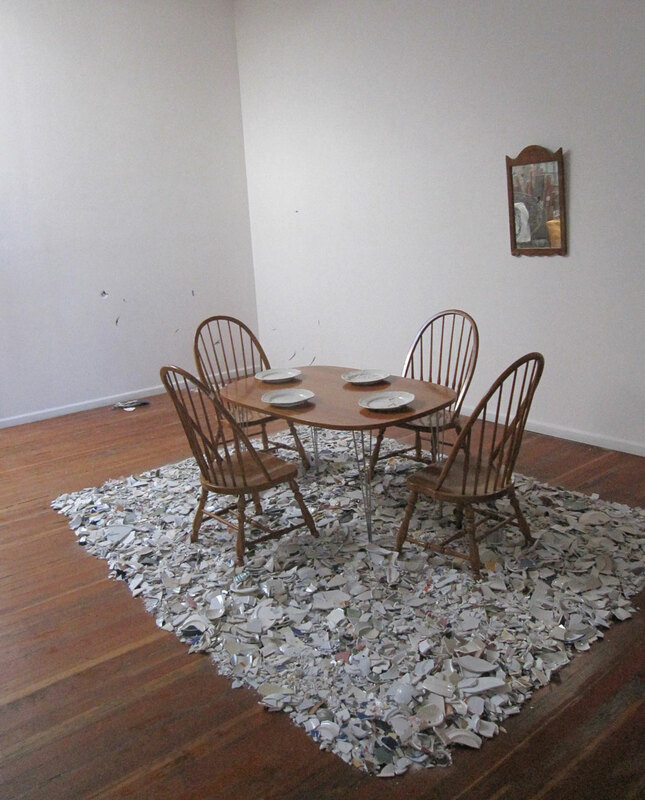 The artists uses the enormous pile of broken tableware to carefully complete that specific dining room. 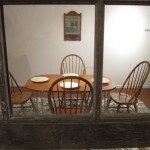 Each time the Dining Room is installed, it is co-created through the action, energy, grief and all the emotion of the public brings to the moment. 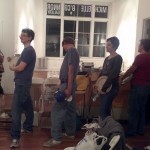 It can take several months to gather all the plates and crockery needed. 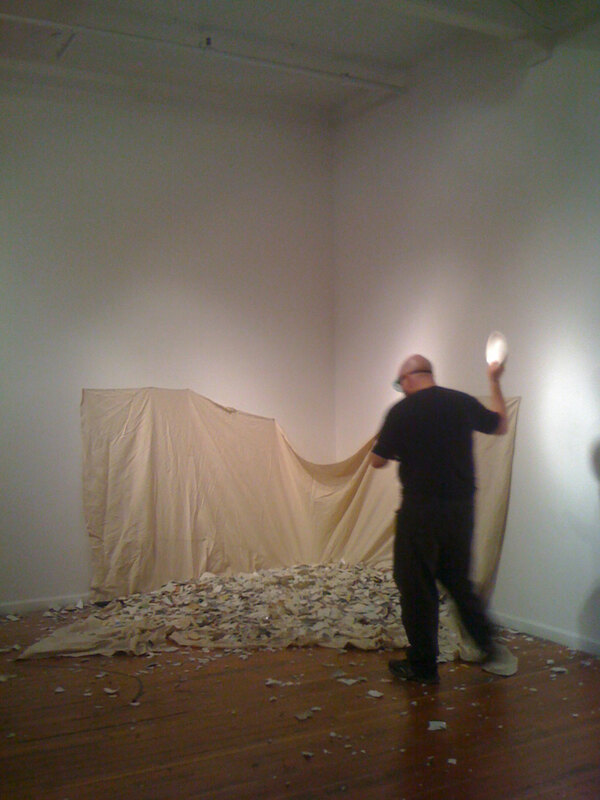 For the Shatter Party, I also ask people to donate their own dishes to the creative process. 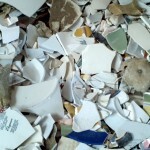 Once I had a woman show up with all the wedding china from her mother’s disastrous first marriage. 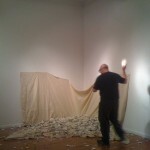 She said she found relief in unloading the bad memory, and to create truthful art from the wreckage. The attendees of the Shatter Party come away with experience exhilarated, wild eyed and energetic. They begin to talk freely. A very interesting effect. 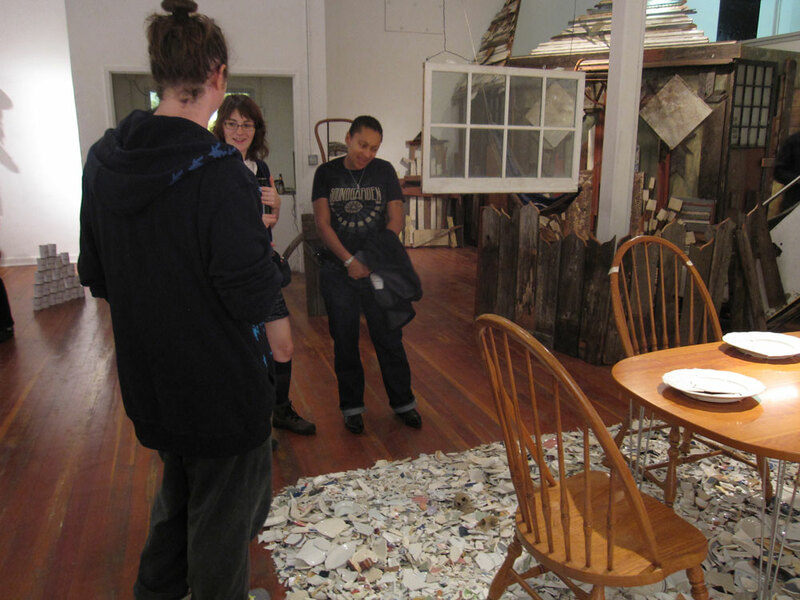 At the installation I often open conversations with the viewer. Unsolicited, many often share deeply personal stories of their families of origin. Perhaps one day I will collect these stories.